If you enjoyed x10 THINKING and find it both interesting and useful in your life then you are qualified to apply for this Advanced Thought Leadership Certificate (ATLC) training and have your name registered on SOT’s Roll of Thinking Instructors. Application: If you wish to apply just write to Michael by clicking here. If you can find a way to multiply your thinking skills by ten and also multiply your selling skills by ten, then you will also find that you have–as a result–multiplied your leadership skills by ten. This can be done through daily training and coaching. There are no special qualifications or responsibilities for being a Thinking Instructor other than a genuine interest in thinking and in teaching thinking. – The above quote is from the Learn-To-Think Coursebook and Instructor’s Manual co-authored by Edward de Bono and Michael Hewitt-Gleeson de Saint-Arnaud (Capra/New, Santa Barbara USA, 1982, ISBN 0-88496-199-0). In 1982, Michael and Edward co-authored this book which became a cover story on all global editions of Readers Digest (at that time, the world’s highest-circulation magazine with 68 million readers) and SOT launched the biggest program in the world for teaching teachers-of-thinking. Edward was very keen on the ‘train-the-trainer’ model and described it as ‘brilliant‘. He wrote to Michael from Cambridge (where he was a Professor of Investigative Medicine) saying, “training instructors has much more motivation”. After much discussion and planning, they decided to combine Michael’s CAP Train-the-trainer 6 principles with Edward’s CoRT Thinking syllabus and they started the School of Thinking on November 17, 1979 in New York. If you enjoyed x10 THINKING and find it both interesting and useful in your life then you are qualified to apply for this advanced training and have your name registered on the Roll of Thinking Instructors. One of the great benefits of the online environment is the flexibility, convenience and autonomy it gives us. I also like the freedom of opt-in and opt-out. No pressure. No stress. If you like it you do it. If you don't like it you don't do it. The commitment in this training is 30 days. (5 DFQs x 4 weeks). When you complete all the DFQs you will qualify for the Advanced Thought Leadership Certificate (ATLC) which I will send you personally. In this 30-days there are two quintessential leadership concepts I want you to learn and practise. The strong versions are used in training Royal Marines and elite military leaders. In this appropriate version I call them the Pipeline and the Peel The Orange or PTO. If you not only get your head around these two leadership skills but also start using them in this next month, then we will have accomplished some effective and tangible leadership goals which will have been of great personal value to you. Timewise, it’s interesting to see that the celebrated Greek thinker Plato lived in ancient Athens around 2500 years ago. Because just around the same time, in ancient China, lived another great thinker … K’ung Fu Tzu. This ancient Chinese master started one of the world’s most successful schools of thinking and his memes have gone viral and spread around the world and infected even more people than the Western Platonic memes. Master K’ung (or Confucius as he has come to be known in the West) developed positive memes on ethics, behaviour and relationships and devoted his thinking to finding better possibilities in the world. He was a great master of CVS to BVS thinking. Confucius had an insatiable thirst for knowledge of antiquity. In his sayings, he rarely used negative prohibitions but preferred to offer positive memes on how to find a BVS if you wish to behave as a chun-tzu or gentleman. What moved him was no lust for power but the will to attain true mastery. If you seek ‘self x10’ then understand your strengths and develop them with practise and mastery. But he was no abstract philosopher. He saw the need to be both a man of thinking and a man of action. His nature strikes us as smiling, open and natural. He was a man of the world and of the street who was driven to find ways to help improve the human condition. He founded a school for future statesmen. He edited the classics. And, most significant of all he is credited with beginning China’s great explosion of thinking in all its breadth and potentiality. 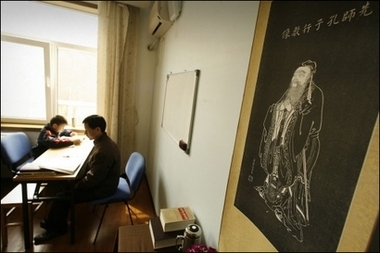 As a teacher Confucius was always encouraging his students to learn. He also believed in the importance of daily training and practise. Is it not pleasant to learn continually and then to put it into practice? Like Confucius SOT also uses Practise, Repetition and Rehearsal (PRR) to teach thinking using tools like brain software cvs2bvs. We also develop and use advanced tools like the TRIIII cvs2bvs matrix below in some of our complex problem-solving workshop sessions with clients. Once you get started with the TRIIII there are three levels of XIO thinking: 1 to 10, 10 to 100, 100 to 1000.